Cancel any automatic payment or direct deposit arrangements. Notify company of new location for coverages: life, health, fire & auto. Gas, electricity, water, telephone, fuel, garbage & cable TV. Get refunds on any deposits made. Laundry, newspaper; change-over of services. Consult a vet about moving your pet. Empty freezer; plan use of food. Defrost freezer and clean refrigerator. Clean rugs and clothing before moving. Clean and/or repair furniture and curtains. Plan for special care needs for your infants and pets. Assemble first day items—soap, toilet paper, pencils, paper, toiletries, bath towels, utility knife, scissors, trash bags,etc. Obtain relocation package from real estate agent or Chamber of Commerce in your new city. 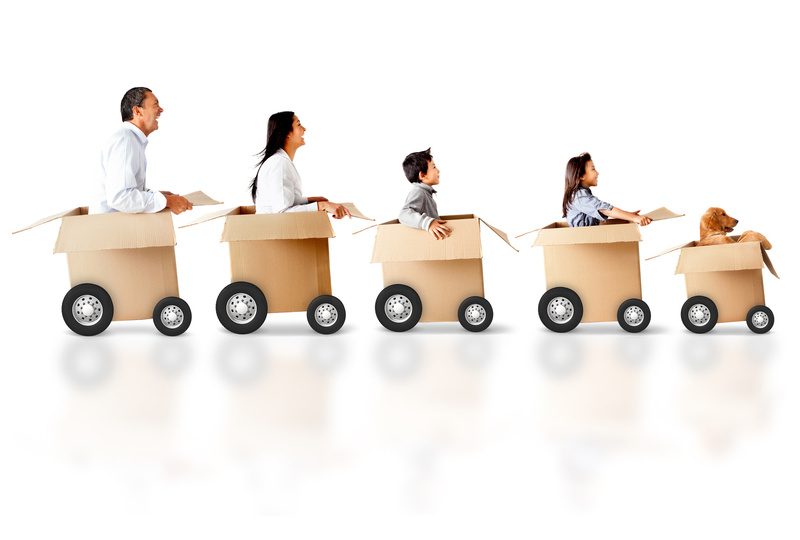 Find out about tax-deductible moving expenses. Have car checked and serviced for the trip. Pack a day or two worth of extra clothing in case of delay. Make a list of every item and box loaded onto the truck. Carry enough cash or travelers checks to cover cost of moving services and expenses. Carry jewelry and documents yourself or use registered mail. Carry an assortment of toys for the children (if needed). Let a close friend or relative know route and schedule you will travel including overnight stops. Double check closets & drawers to make sure they are empty. Turn off all appliances and lock all doors. All old keys needed by new owner with Realtor® or neighbor. Let the movers know where you can be reached. And at Your New Address.. Check off all boxes and items as they come off the truck. Check on service of gas, electricity, water, telephone, garbage and cable TV. Ask mail carrier for mail he or she may be holding for you. Apply for state driver’s license (or just address changes if needed). Register car within five (5) days after arrival in state or a penalty may have to be paid when getting new license plates. Obtain inspection sticker and transfer motor club membership.